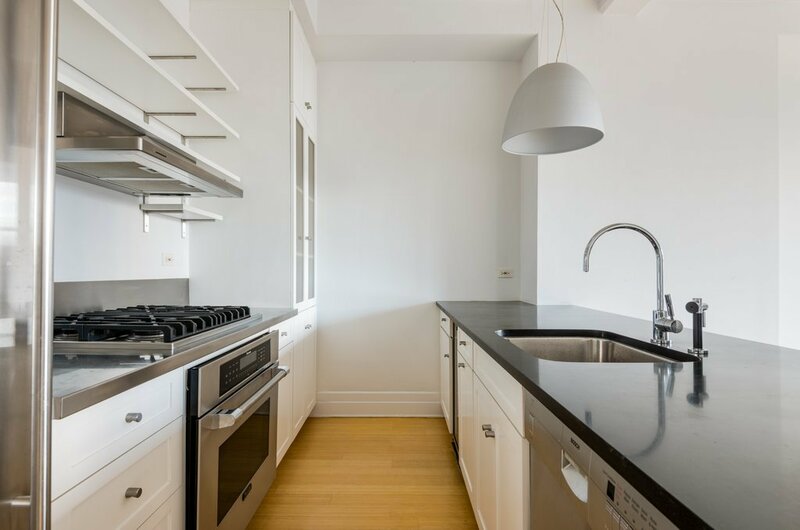 70 Washington Street, #7B, Brooklyn, NY, New York 11201. 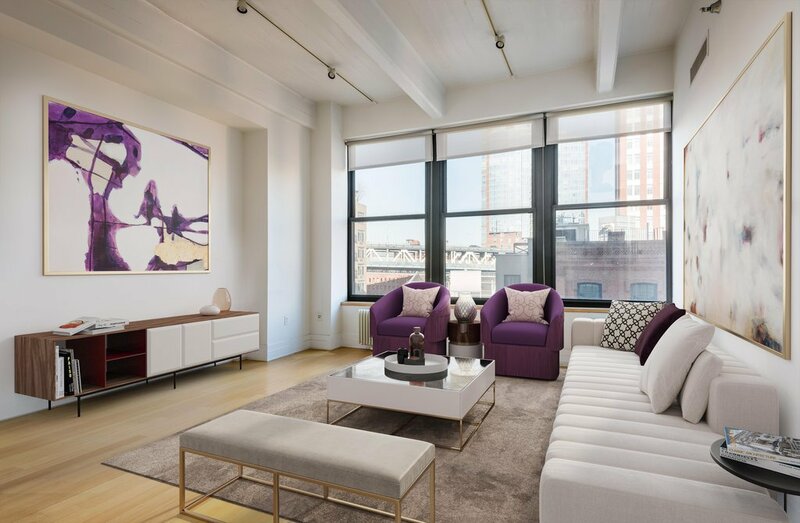 This lovely loft apartment offers 1,236sf of bright space with oversized windows, 11' high concrete beamed ceilings and bamboo flooring throughout. Theres an open gourmet kitchen with subzero refrigerator, Thermador oven and cooktop, and wine cooler. 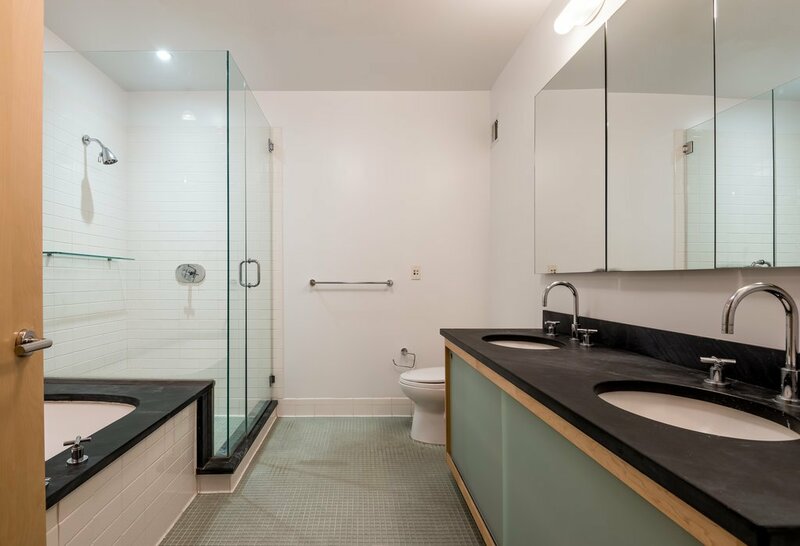 2 full baths make it especially convenient for guests or family. 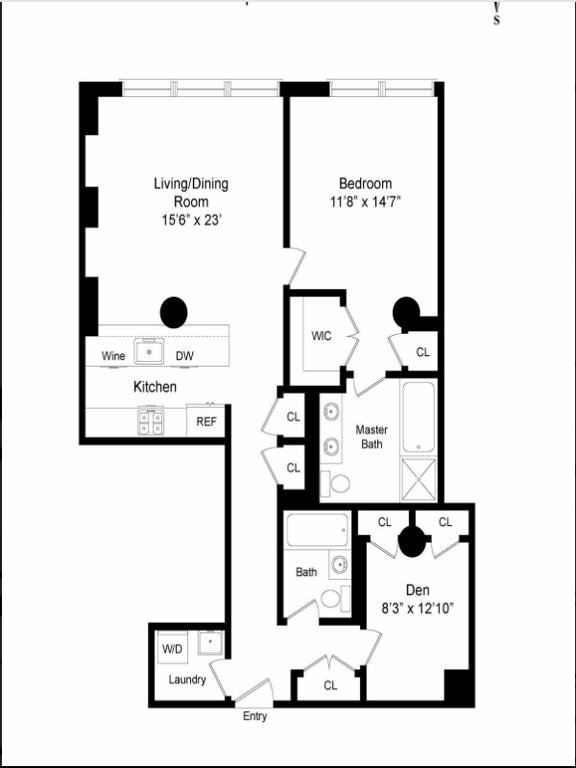 The master bedroom has plenty of closet space and the adjoined master bath features a relaxing jacuzzi tub and a separate fully enclosed glass shower. The H.O. can be used flexibly, as a workspace, guest room, or quiet nursery. 70 Washington is one of Dumbos finest addresses. 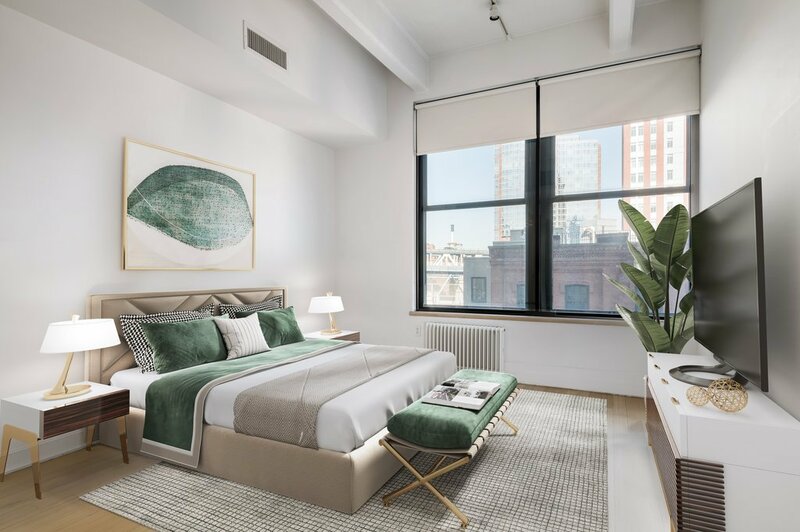 The building amenities include 24hr concierge, roof deck and fitness room, and excellent proximity to Brooklyn Bridge Park and Dumbos best restaurants, bars, and shops.